A newly released report by the University of Southern California’s Race and Equity Center that measures how well public colleges and universities are serving African American students gives high marks to The University of Vermont. “Representation Equity”: The percentage of African American student enrollment relative to the 18-24 year-old African American population in the state. “Gender Equity”: How the percentage of female and male African American students compares to the national enrollment percentages across all racial/ethnic groups (56.3 percent women, 43.7 percent men). “Completion Equity”: Compares the graduation rates of African American students with those of the overall student population at the school they attend. “Black Student-to-Black Faculty Ratio”: Measures the ratio of full-time African American students to full-time African American faculty members. The University of Vermont earned a “B” grade in the first three indicators and an “A” in the fourth. 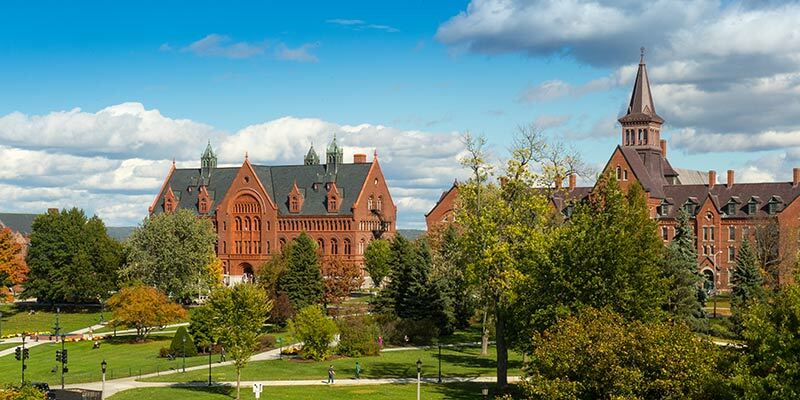 The grades resulted in a 3.25 “Equity Index” score for UVM, earning it a spot on the report’s list of 36 institutions with the highest “Equity Index” scores out of the 500 plus colleges and universities in the report. UVM did particularly well in the “Completion Equity” indicator, registering a 70.5 percent graduation rate for its African American students compared to the university’s overall graduation rate of 75.6 percent. It also did well in the “Gender Equity” category, with a gender distribution among African American students of 52.5 percent female and 47.5 percent male, resulting in 3.8 percent variation from national figures. UVM earned its highest grade in the student-to-faculty ratio category with a ratio of 5 African American students per African American faculty member. The report cautions that a campus that performs well in comparison to others is not necessarily a national model of excellence.